While trying to avoid the daily chores like cleaning up the elephant poop and milking the zebras (just kidding), I was a voracious reader. Of course I read stories about the Gurus and Sikh history, and I also read spy novels and adventure stories and Tin - Tin and Asterix comics and anything inspiring that would fuel my imagination. As an adult, life has taken me from Africa to Texas, London, New York, Tennessee, California, New Mexico, and countless places in between (Argentina, China, Japan - 107 countries and counting). Like many Sikhs in the west today, I consider myself to be a global citizen living in the modern world, but with strong Sikh values. I'm living a life that truly is beyond my wildest dreams as a young boy. So today, with the internet and transmedia platforms and families spread across different continents we have an ability to reduce the distance between people. It's even more important to give our kids even better stories with modern characters, who as role models can give them strength, courage and most of all hope in the complex world in which they live. This is my inspiration for Super Sikh. 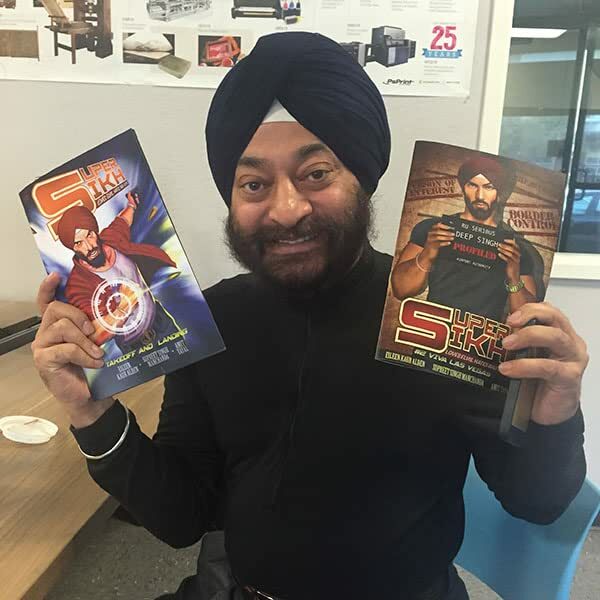 We have the opportunity to provide kids with adventure stories of our Sikh action hero, Secret Agent Deep Singh, a modern man maintaining strong Sikh values, a is global and with panache while fighting for justice against evil with his team the world over. I hope that Deep Singh's stories inspire our kids to imagine their own amazing destinies and global adventures, and to dream big. in a way I am still a kid at heart living vicariously through Deep Singh. Meet Deep Singh. He loves Elvis and hates bad guys. By day he works at a tech company and lives with his parents. But that's just a front. 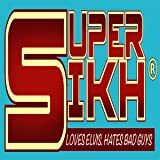 For Deep Singh is really a top secret agent for the United Nations, fighting terrorism all around the world.